Enjoy the natural smell of lush green deep forest with the fragrance of our Forest Incense Sticks. We can assure that you can easily loose your senses to this exotic collection of forest smell incense sticks which soothes the mind and creates a spell bounding surroundings. Our Forest Incense Sticks are ideal for religious purposes as well as in spas, therapeutic centers, and other "feel good" institutions. We have used selected flowers and other biotic combustible materials that emanates a royal splendor and luxury that enchants one and all. 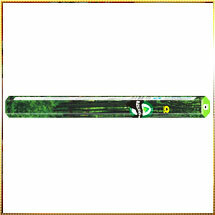 We offer our Forest Incense Sticks in attention-grabbing packaging that locks the aroma and catches all eyeballs.